It's a joyous time for sure, but new parents really do have so much to think about! Breast or bottle? Cloth diapers or disposable? To circumcise or not? And all that, in the first few days of their new baby's life! Many people don't know it but, believe it or not, cavity prevention starts at birth. 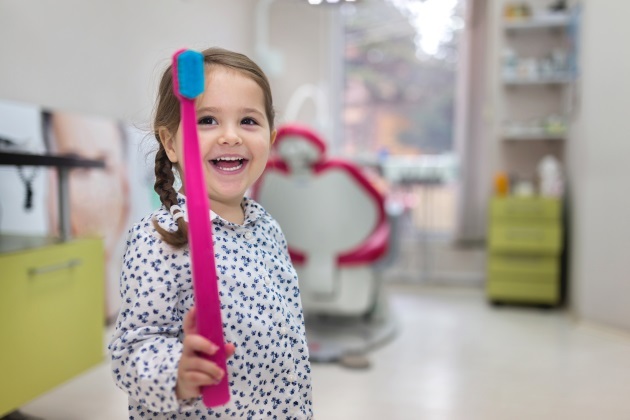 And given that more than 40 percent of children have cavities by the time they reach kindergarten, there are simple things parents can do to ensure healthy oral development for their children during pregnancy and after the big delivery. Proper nutrition is essential for growth and development during pregnancy and after. Vitamin D and folic acid are particularly important when it comes to the formation of primary teeth, as well as the prevention of cleft lip and palate. It’s important to wipe the gums to prevent bacteria build-up from leftover food particles. Once the teeth start coming in, use a tooth brush to clean the teeth and gums twice a day. Some parents are inclined to put their babies to bed with bottles, but it's one of the most common causes of discoloration and cavities. While young children can use fluoride toothpaste (there are certain guidelines), fluoridated tap water is an excellent source of fluoride for children and is essential in helping prevent tooth decay. Parents should schedule an oral exam for their child within six months of their first tooth and establish a primary dentist by the age of 1 for regular visits. For more information about National Children’s Dental Health Month, click here.